Question: I would like to contact one of my employees to see if they will be returning to work when their doctor’s note expires. Can I legally contact them when they are on sick leave? Answer: Employers may shy away from contacting staff when they’re absent from work due to illness but, on the contrary, keeping in touch with absent staff is essential to a good absence management process. There is a fine line between making enough contact and badgering staff whilst they are supposed to be recuperating; employers need to strike the right balance. 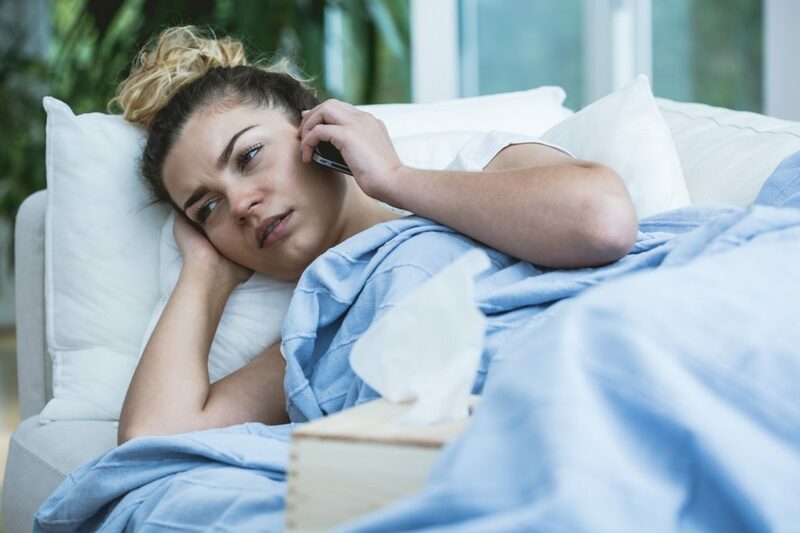 Most sickness absence policies will state that contact will be made by employers to review the progress of the employee’s recovery and this should be what any contact is for; not, for example, asking them to return to work earlier than their scheduled return date. When making contact, some thought should go in to what will be discussed during the call to ensure the employee is put under as little stress as possible. Simply calling the employee off the cuff could result in asking questions that have already been discussed, making the employee feel they’re being interrogated or put under pressure. Some areas which can be discussed are: how they’re currently feeling; whether they’re taking any measures to get better, such as medication; whether they are seeing an improvement in their health and whether any reasonable adjustments can be made to their job role which will allow them to return to work. This information is useful to know in advance because it allows time to ensure these adjustments are in place before the employee returns, thus reducing the likelihood of them going back off sick. The matters to be discussed, and the frequency of contact, may need to be amended due to the nature of the illness and the vulnerability of the particular employee. Requiring the employee to come in to work to make this contact could prove counterproductive to the employee’s health and, instead, other methods can be used such as calls, emails or meeting at a neutral, relaxed location such as a coffee shop closer to the employee’s house. Sensitive, positive contact during sick leave can smooth the way for the employee returning to work on a permanent basis. Failing to communicate with the employee at all during their absence could leave them feeling isolated and out-of touch with the business and could, in turn, worsen their condition or leave them feeling apprehensive about their return.